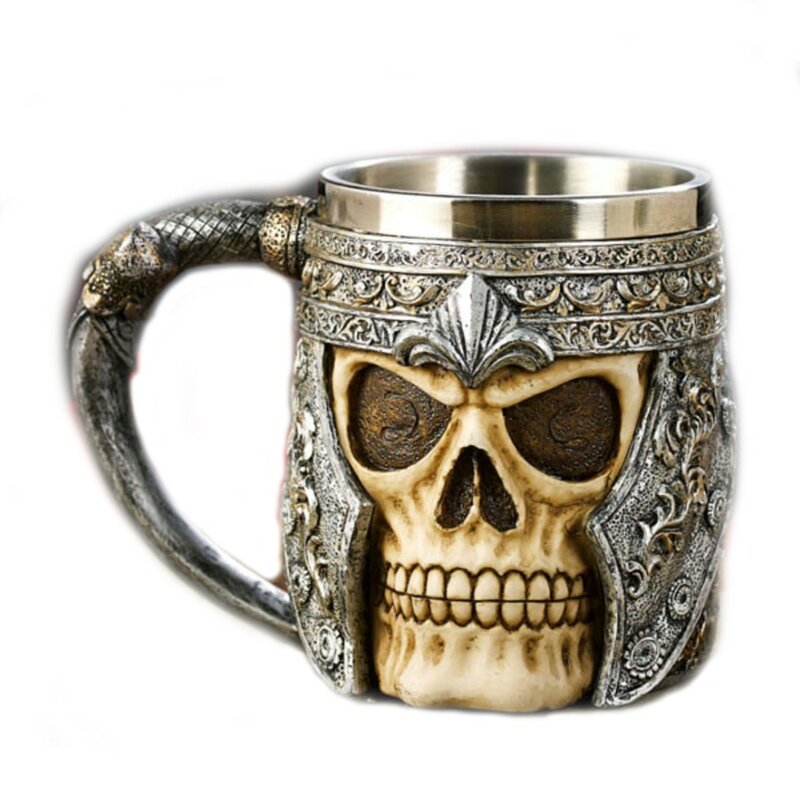 Bottoms up in true warrior style with the Viking Skull tankard! This stunningly realistic mug is great for holding both hot and cold beverages including ale, lager, coffee, tea and more! Painstakingly painted by hand, this gothic drinking vessel will get your friends talking and impress the socks off them. Makes for a truly terrifying gift.